In a recent article on TLNT.com, I offered an alternative to the current standard for HR: Culture Development. While most of the comments on the article were very positive, one reader argued that he’d like to see less “culture” and more pragmatism. This comment indicates a clear misunderstanding of the strategic value culture provides for purpose-driven organizations. When the foundation of how you do what you do is tied to a set of values, culture isn’t just warm fuzzies — it is a crucial element in the success or failure of the company. In the High Performance section of his culture manifesto, Netflix founder and CEO Reed Hastings noted that, “Adequate performance get’s a nice severance package. … Netflix leaders hire, develop and cut smartly so we have stars in every position.” He goes on to describe the “keeper test” in which managers and employees should consider how hard the leaders would fight to keep the employee if he were to say he was considering an opportunity elsewhere. Not only does Hastings’ manifesto clearly articulate what it means to have a high-performance culture at Netflix but the test for ensuring they have the right people on the team. The idea is to have the best and the brightest bringing their best work and making sure they know they a valued part of an all-star team. Nothing fluffy or warm and fuzzy there. In fact, there has been criticism of the Netflix culture as a cutthroat “culture of fear.” Whether it is or isn’t is neither here nor there. 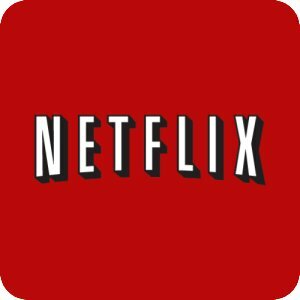 The expectation is set and those who can’t thrive with the pressure that come with such a commitment to a high-performance culture, will have no interest in going to work at Netflix. This kind of clarity is precisely what enables companies like Netflix, Google and Apple attract top talent. Ultimately, it is this talented workforce that keeps these companies at the top of their market. This originally appeared on the Infusionsoft Culture Corner blog.